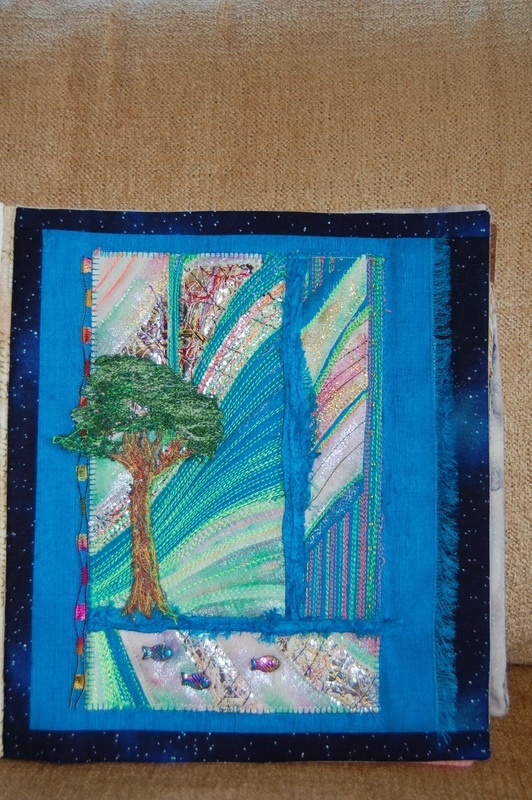 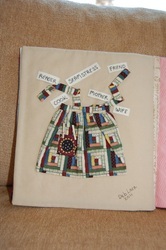 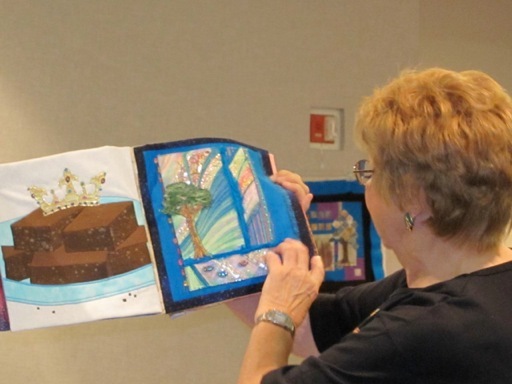 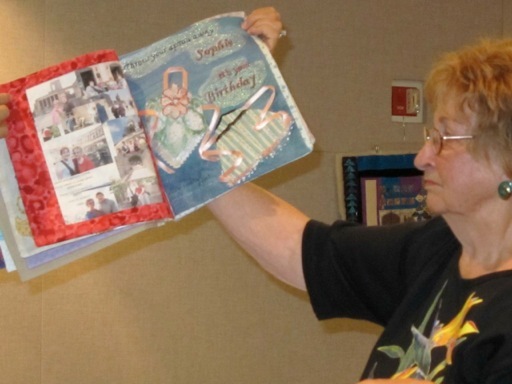 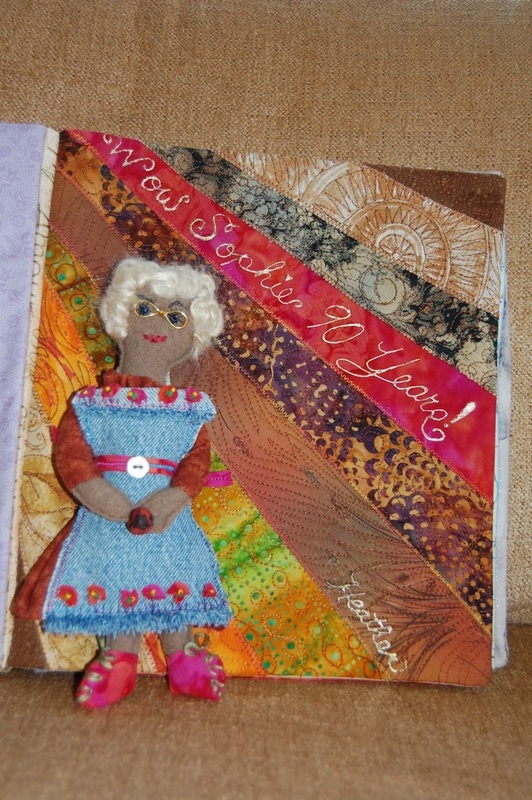 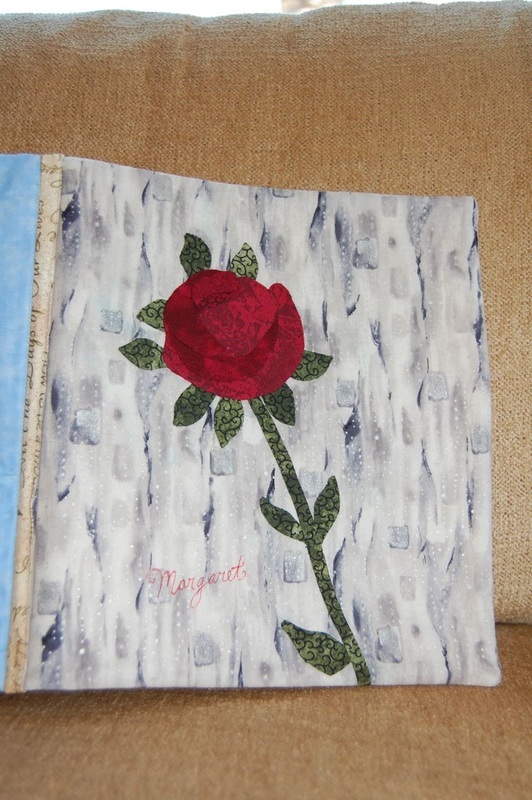 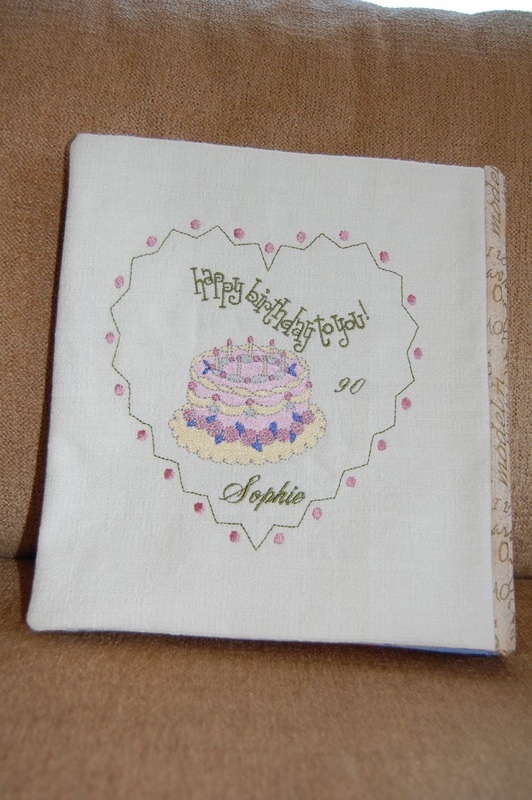 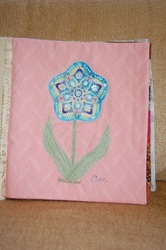 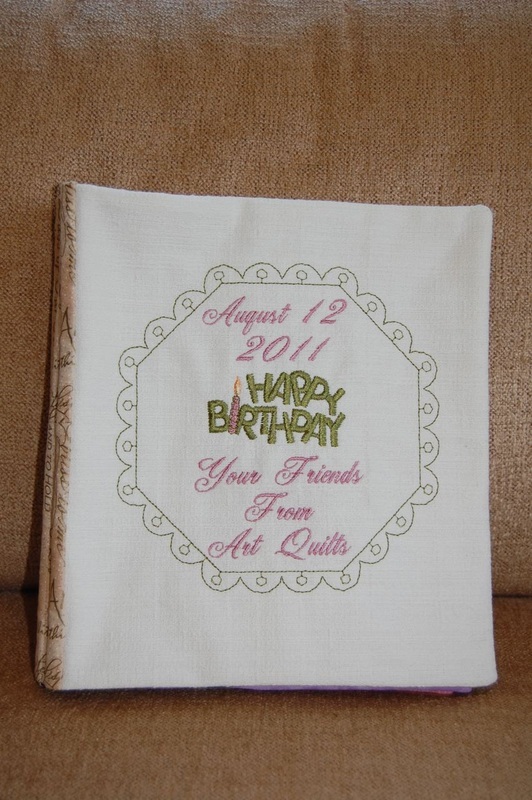 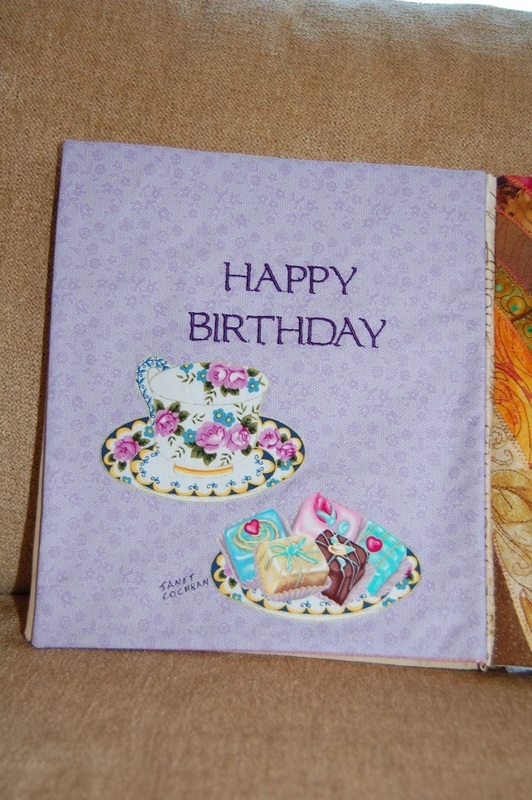 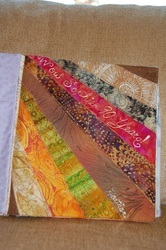 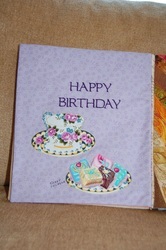 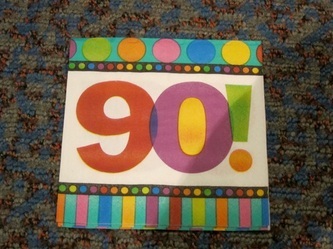 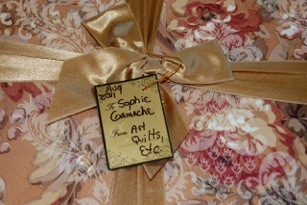 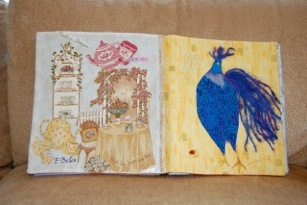 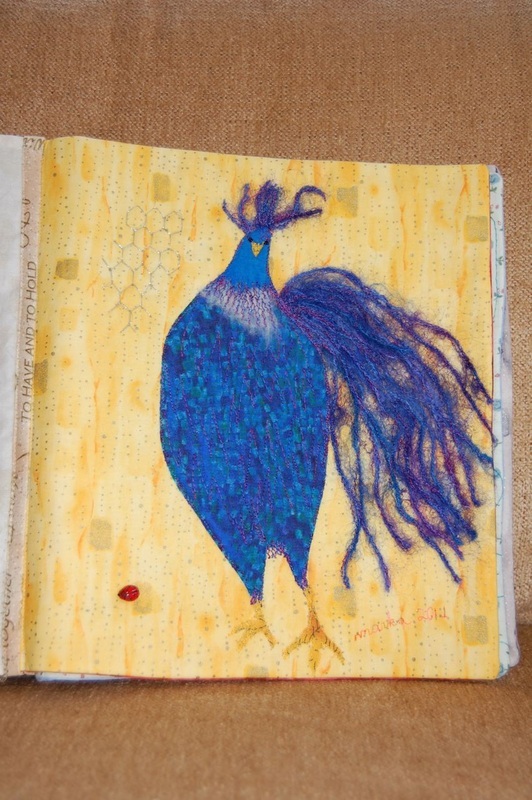 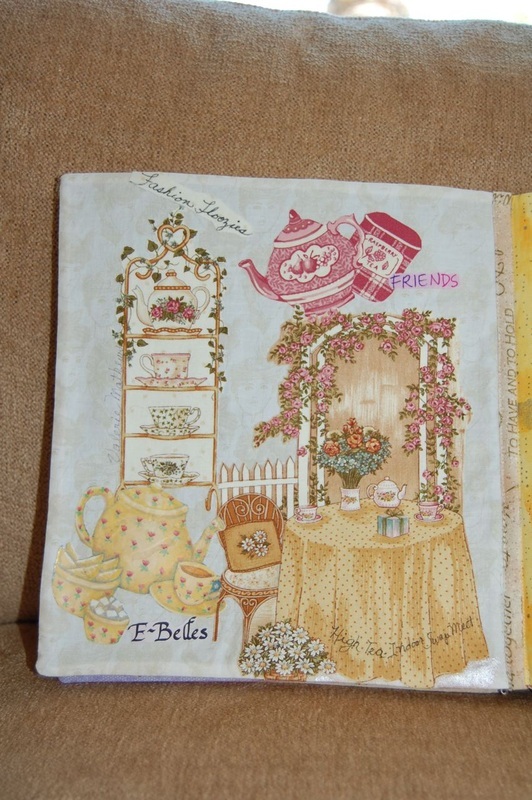 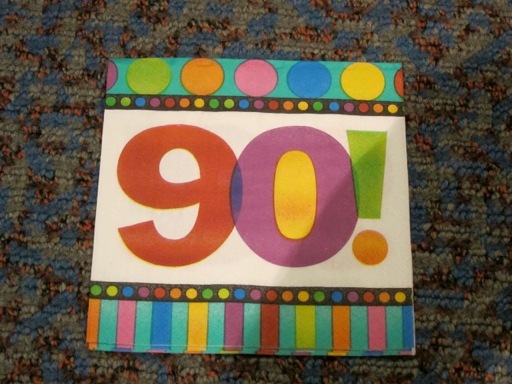 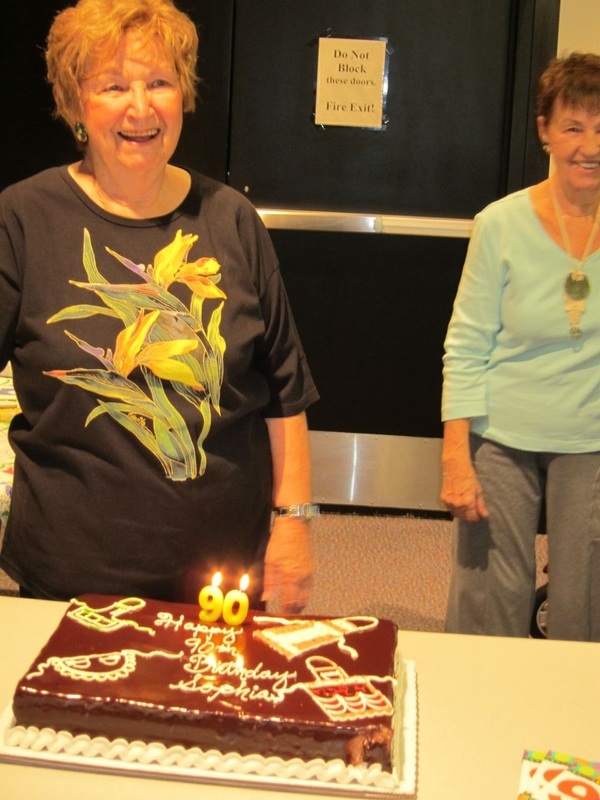 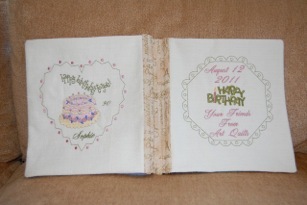 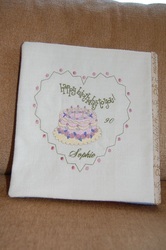 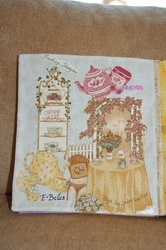 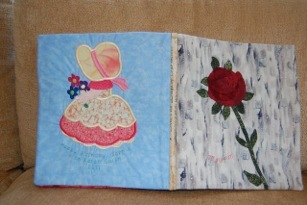 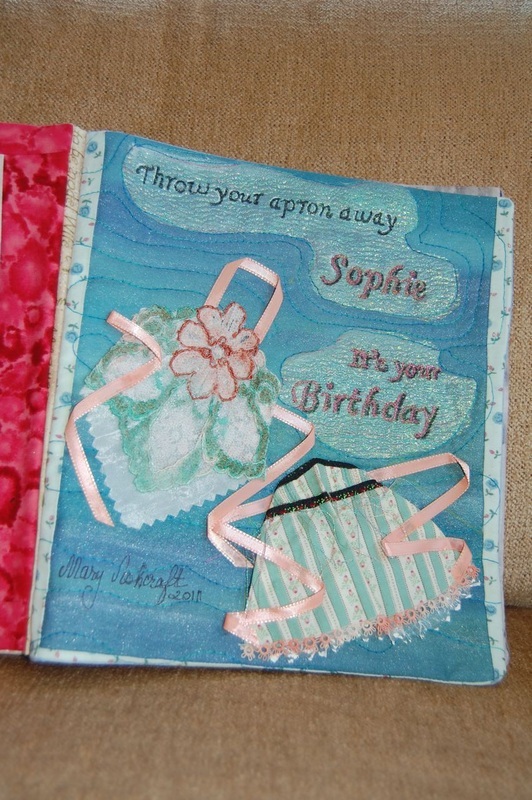 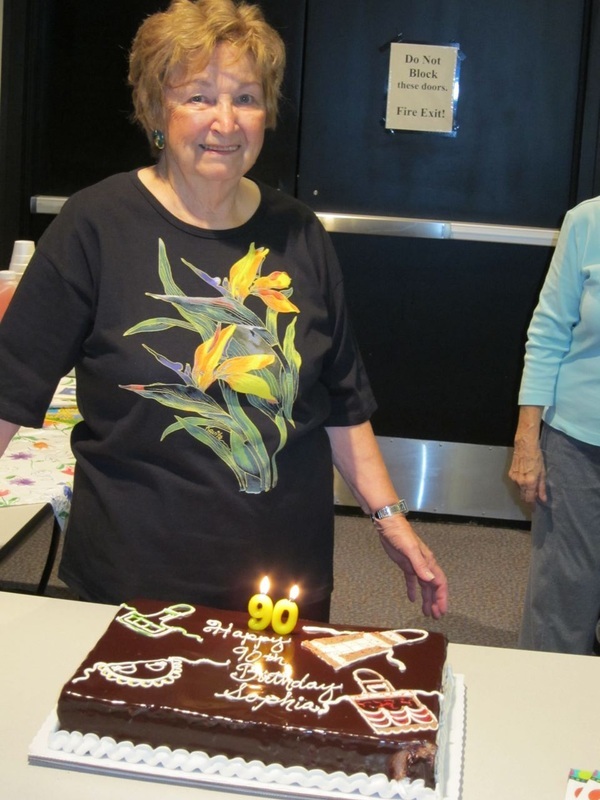 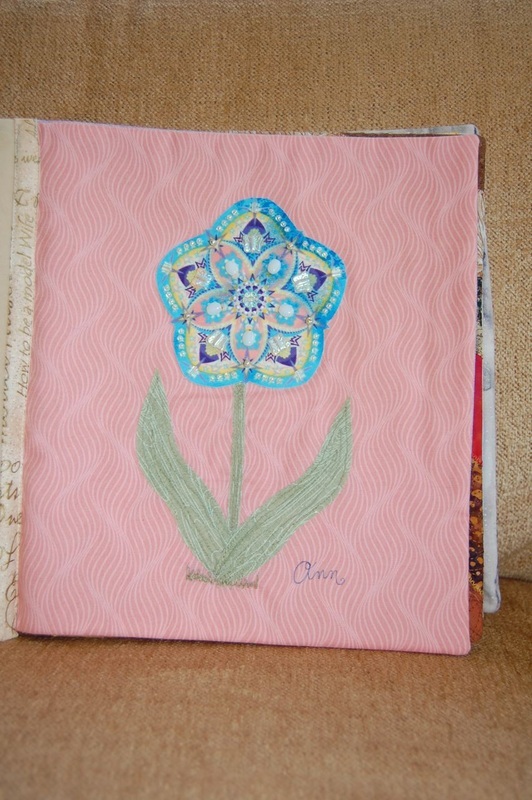 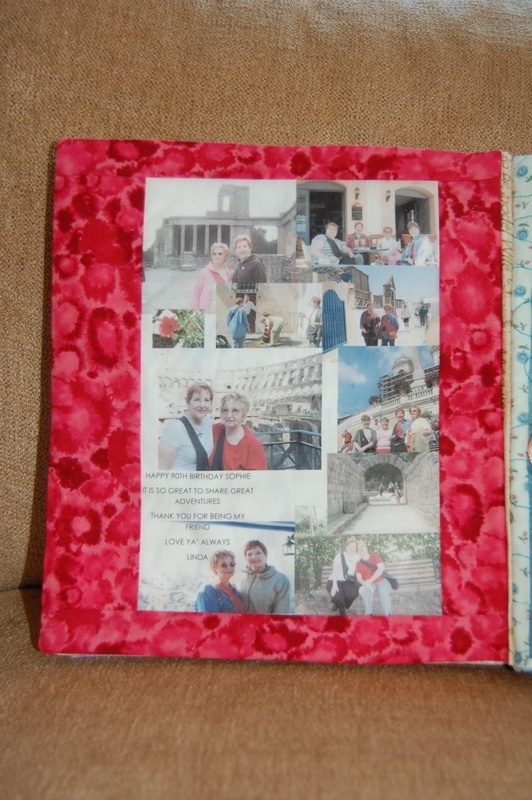 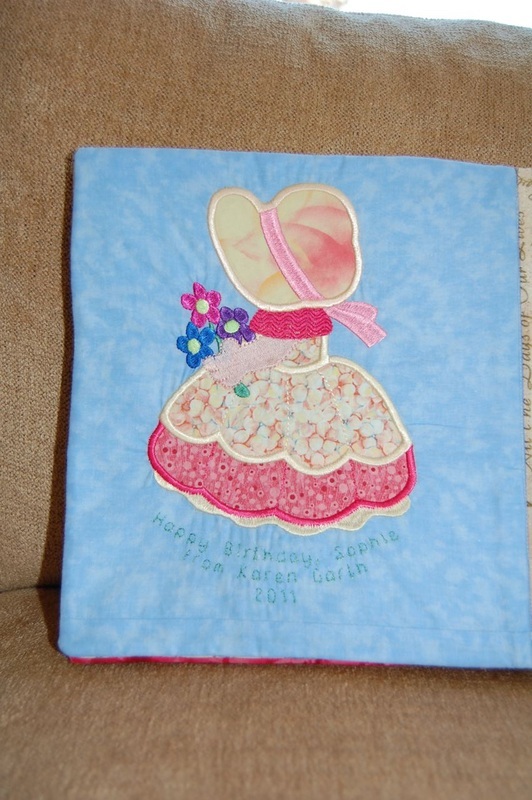 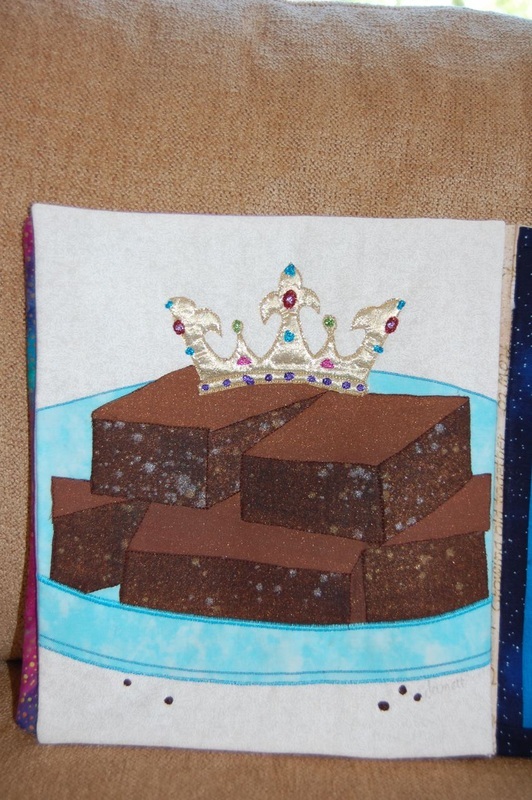 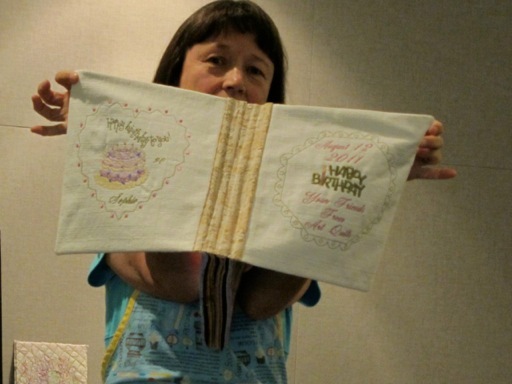 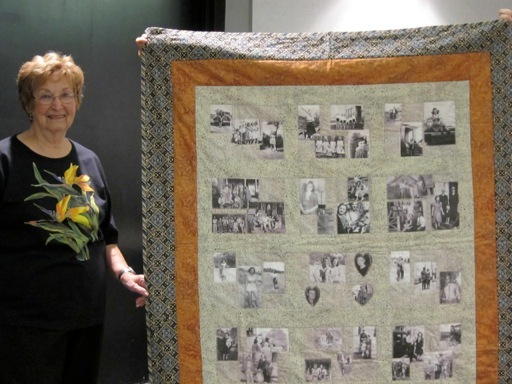 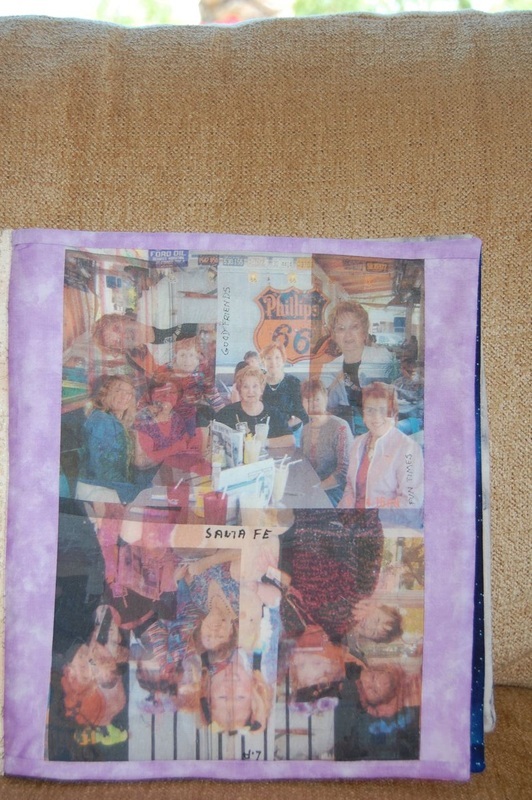 This fabric book was put together by members of Art Quilts, Etc., for one of our members, Sophie Gamache who turned 90 in August 2011. 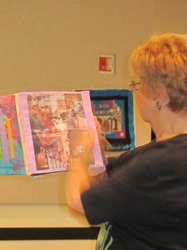 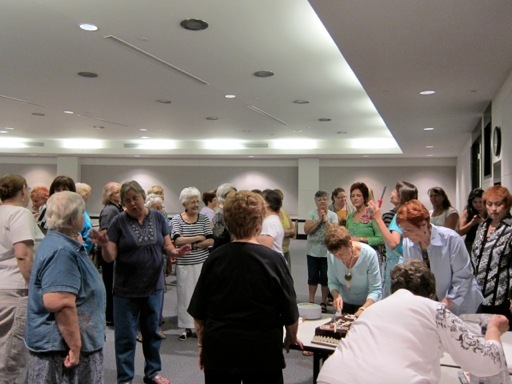 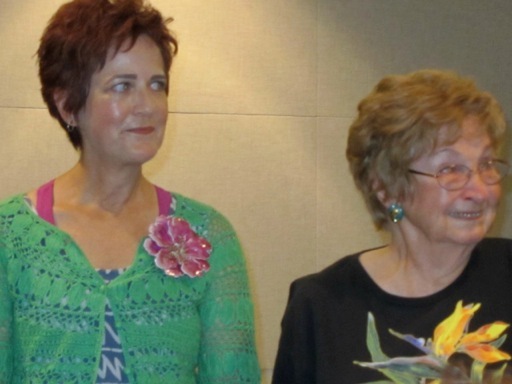 Once again Margaret Illions helped put the book together, but this time Karin Serra and Heather Pyle helped her. 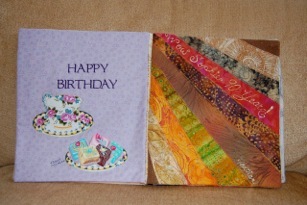 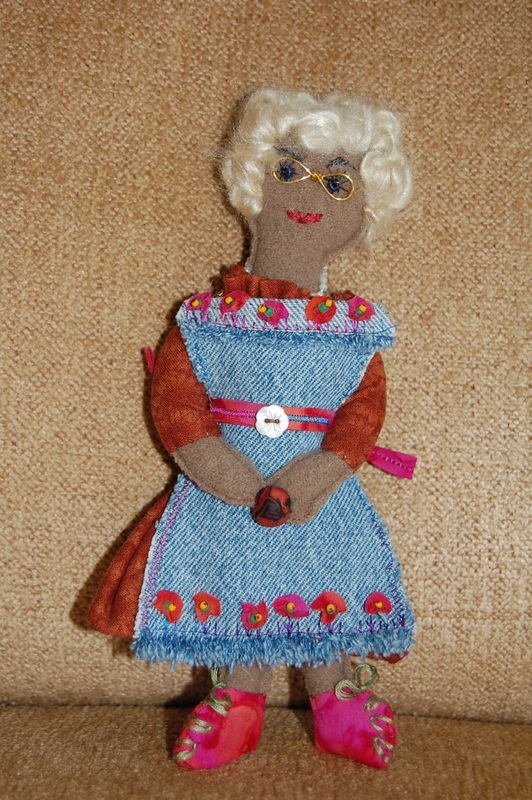 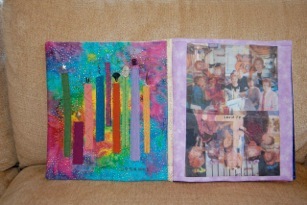 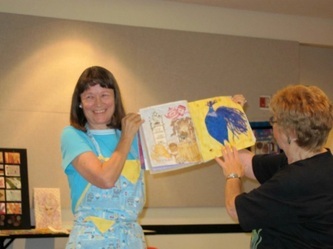 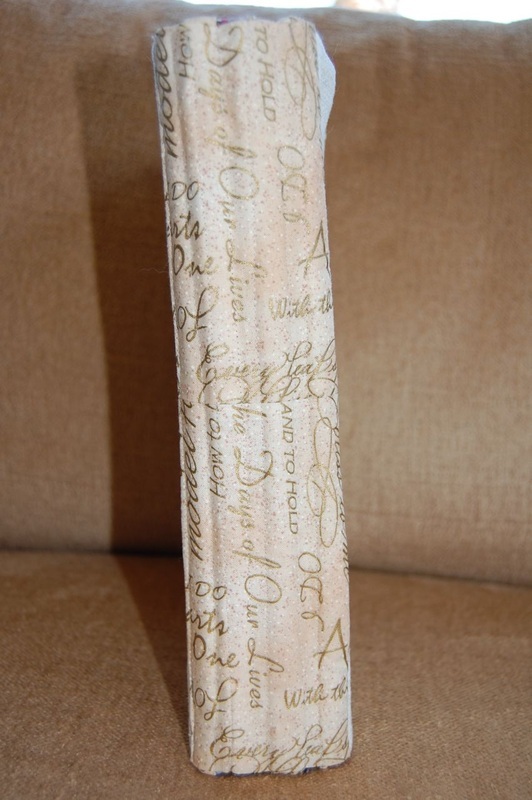 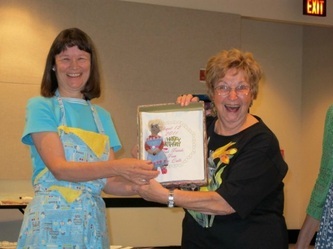 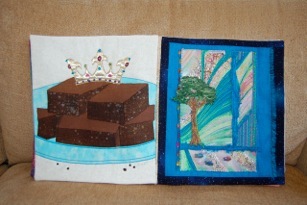 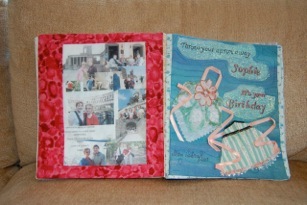 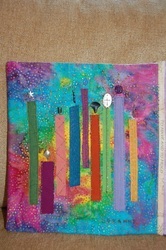 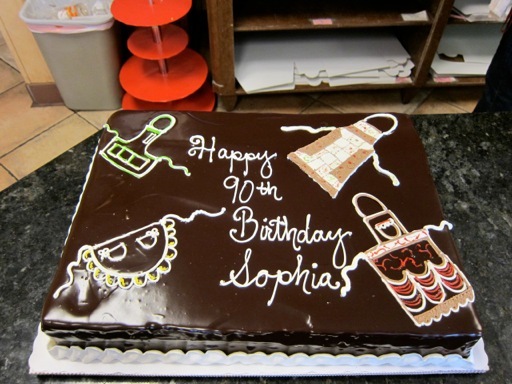 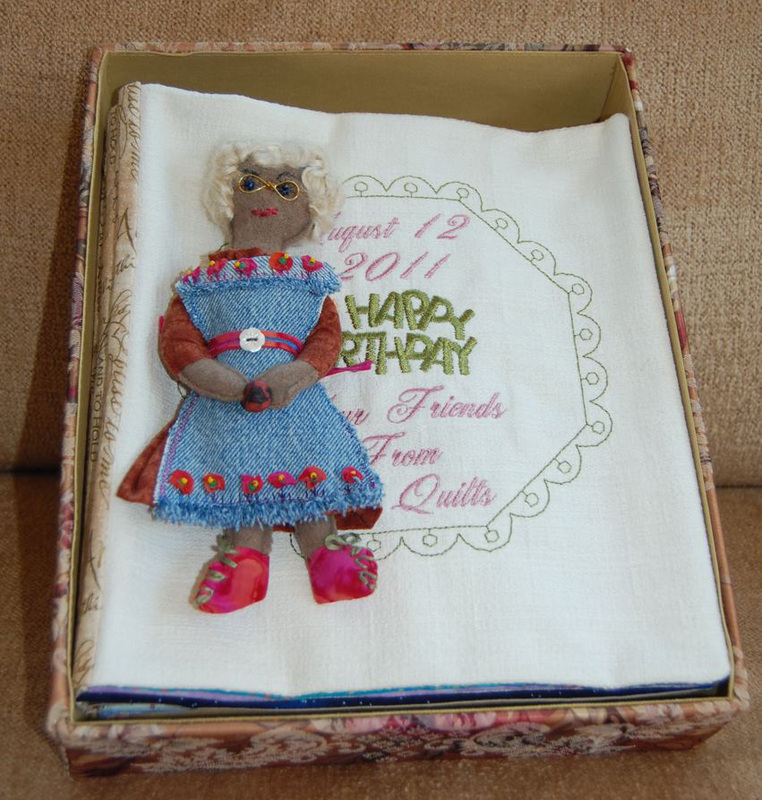 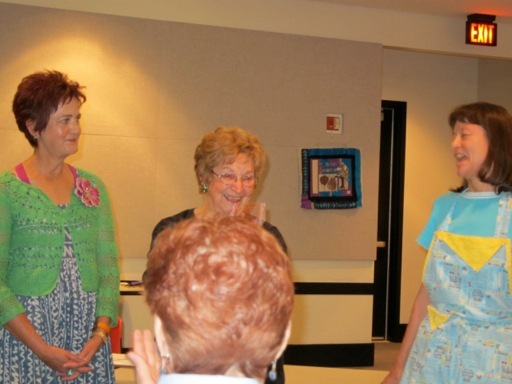 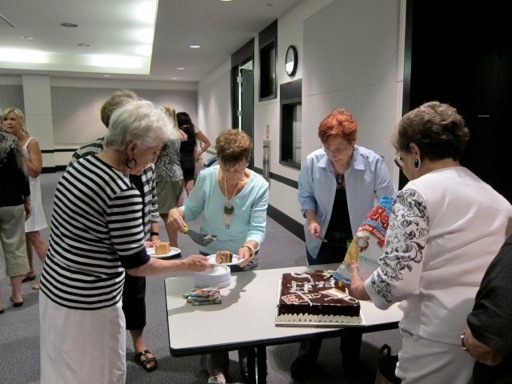 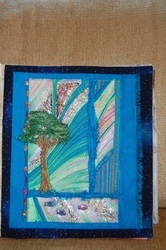 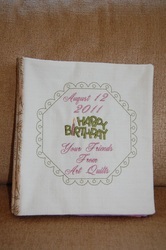 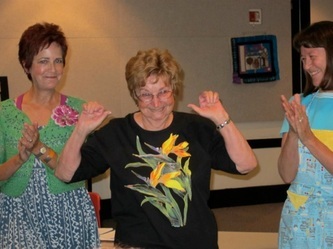 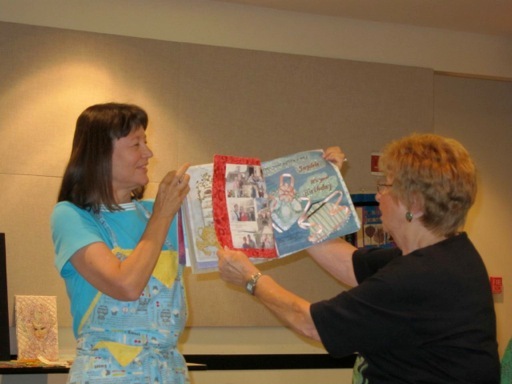 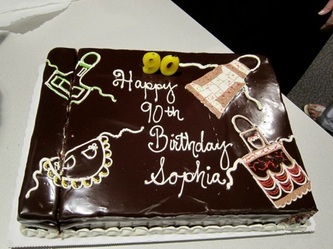 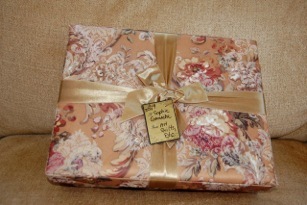 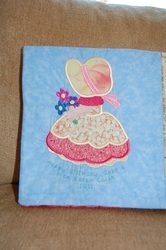 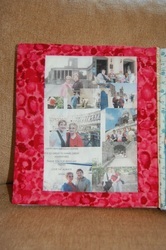 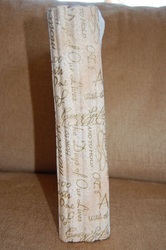 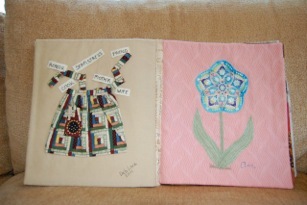 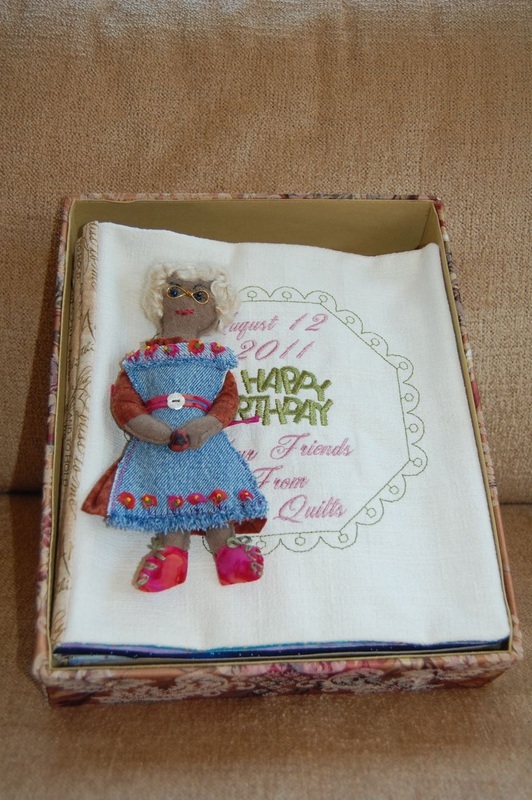 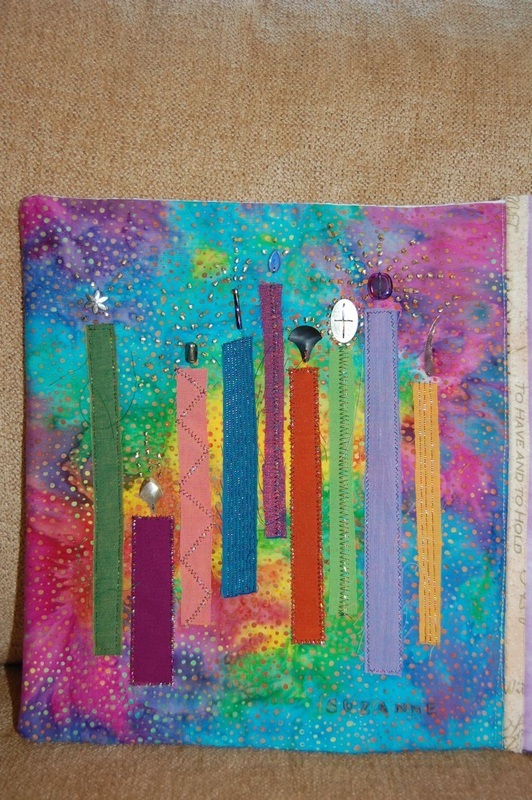 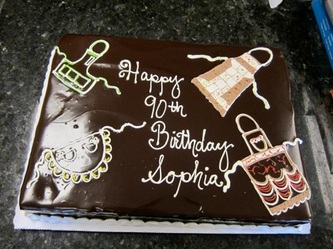 We presented it to Sophie at our August 2011 meeting along with a birthday cake.